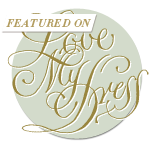 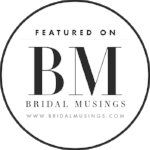 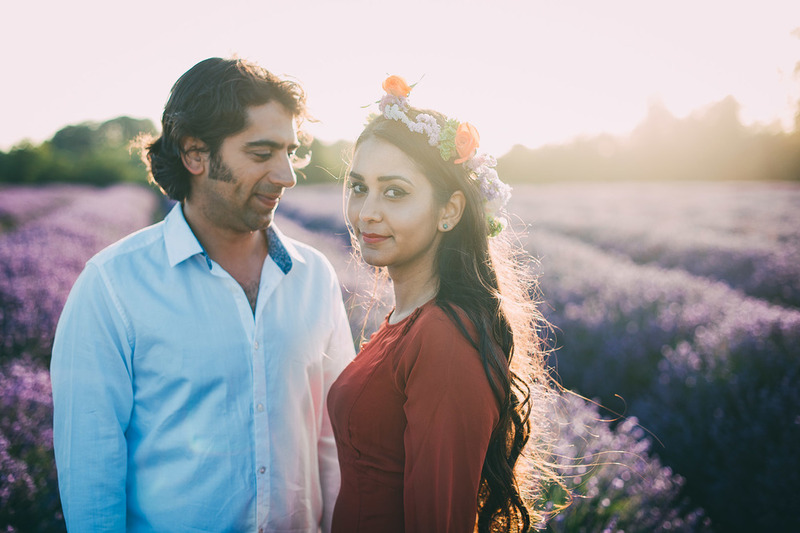 It's always great to meet a couple who are up for anything and full of ideas when it comes to their wedding and engagement photography. 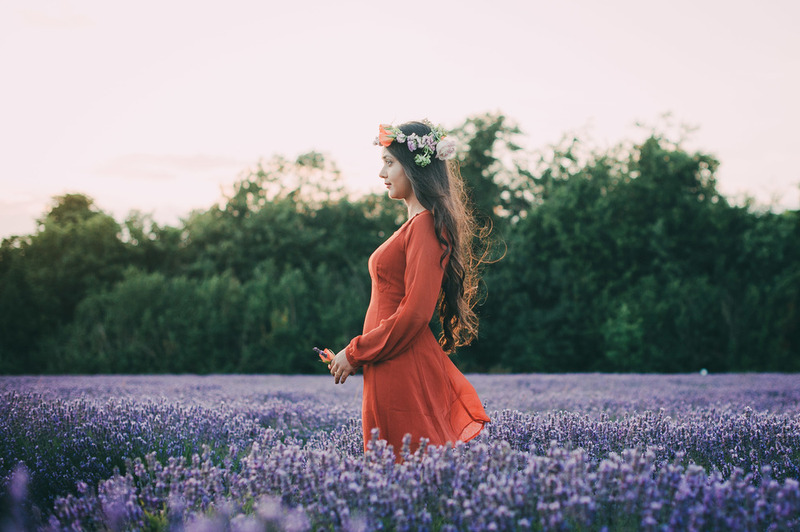 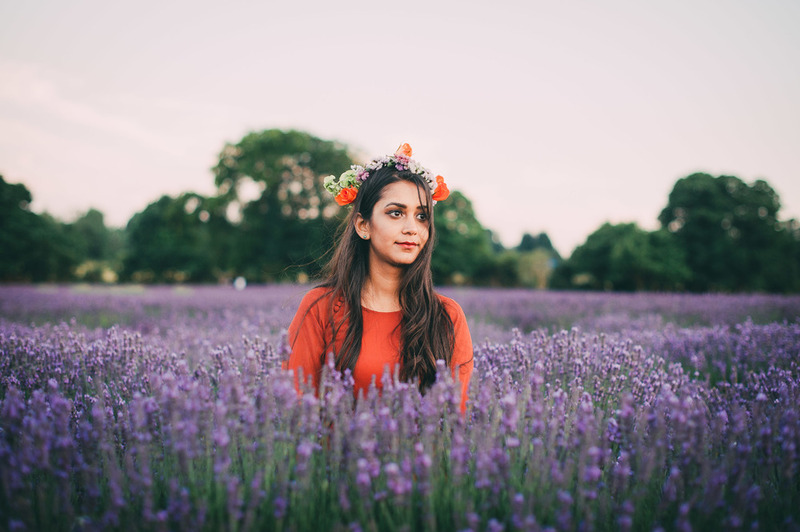 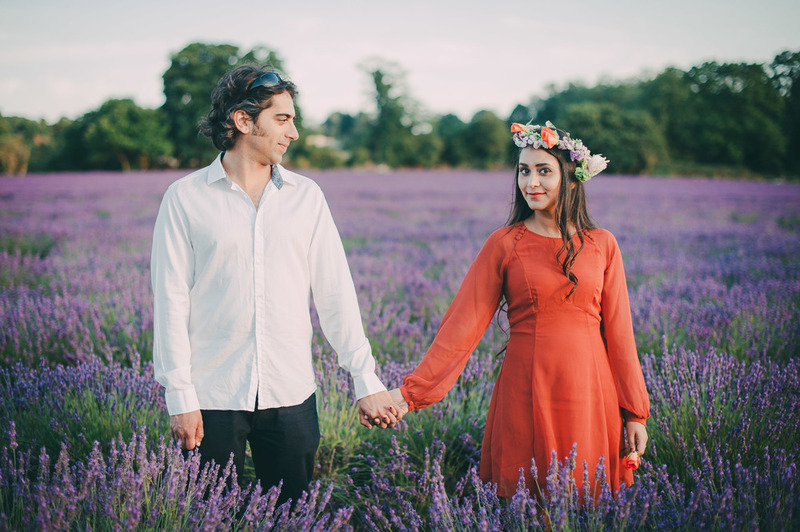 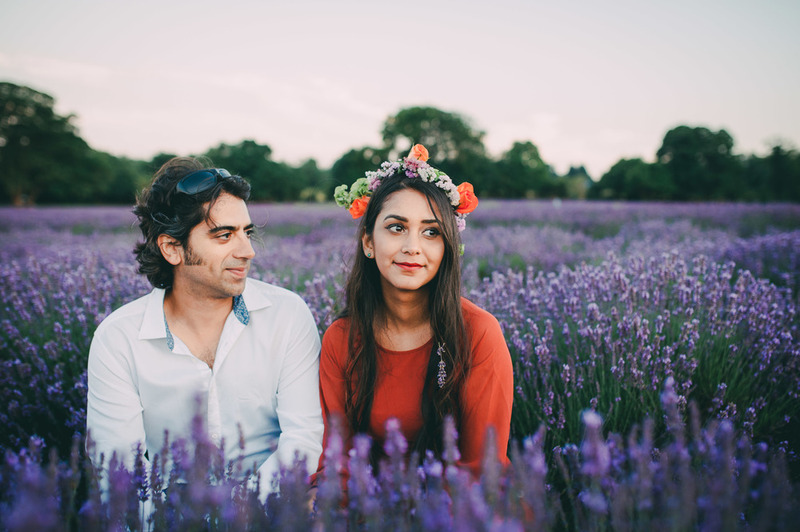 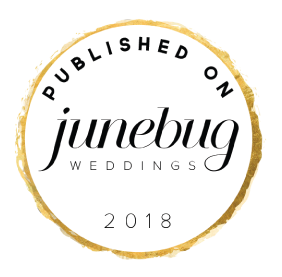 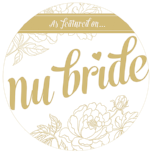 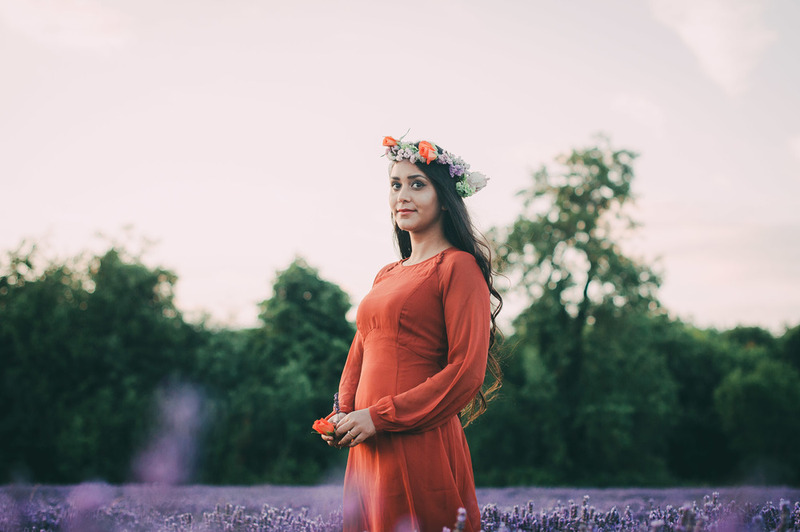 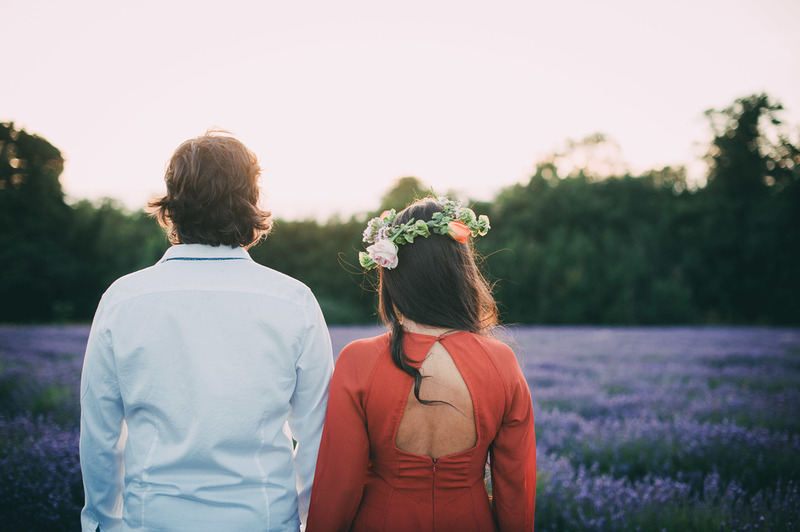 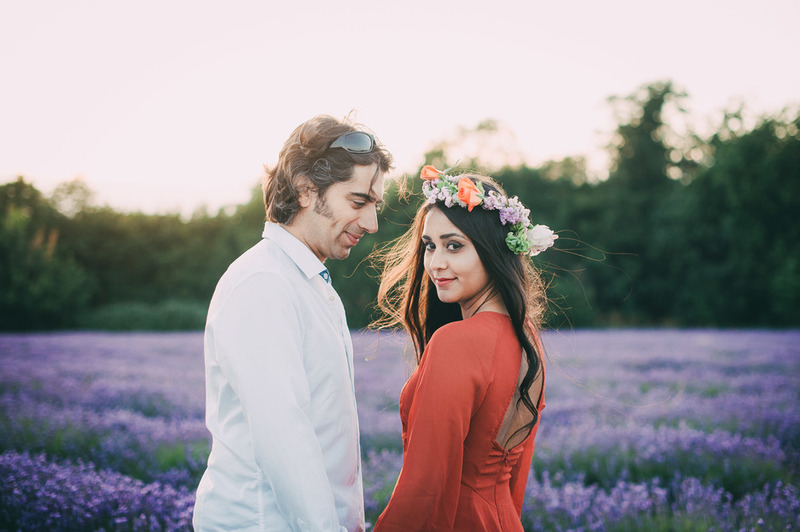 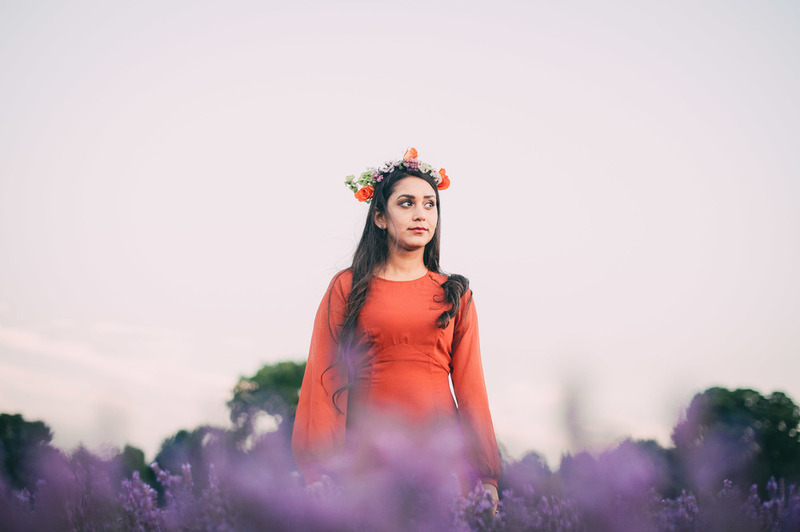 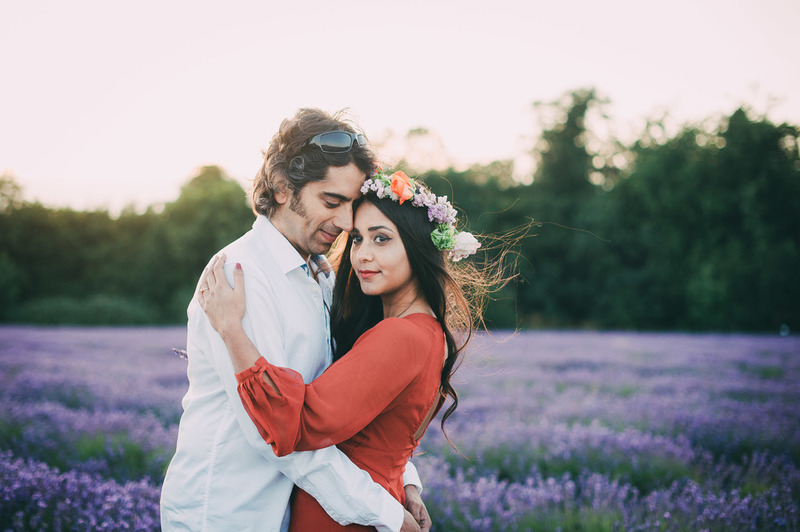 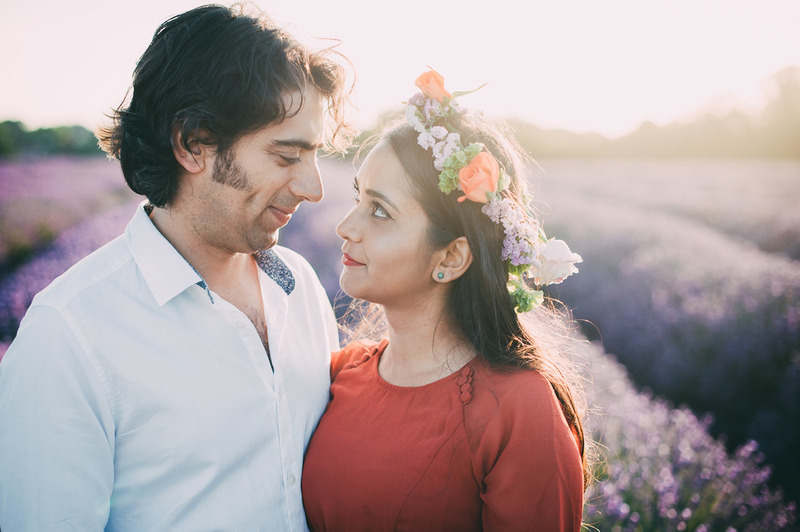 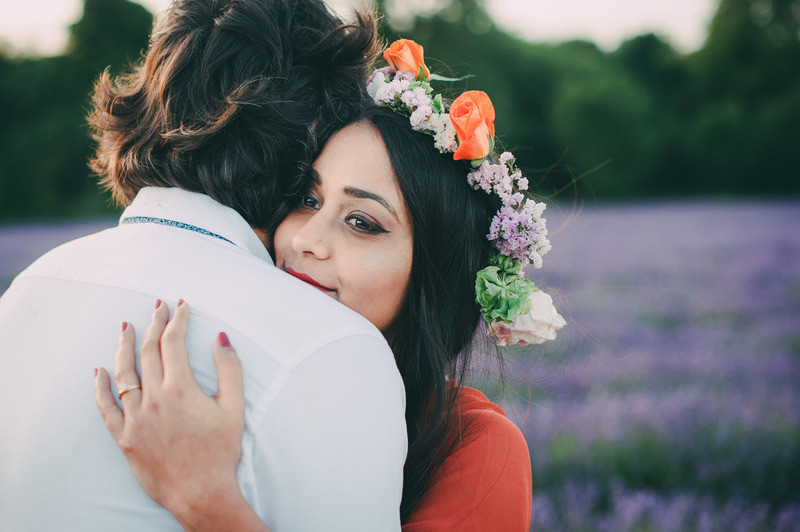 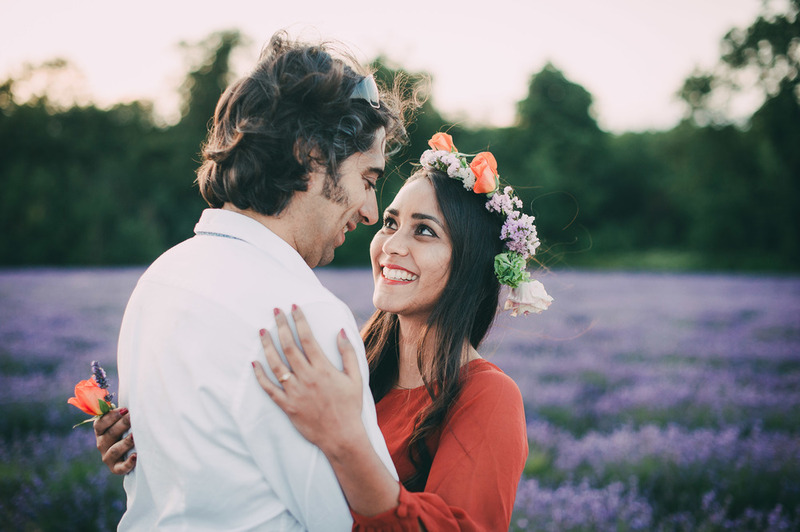 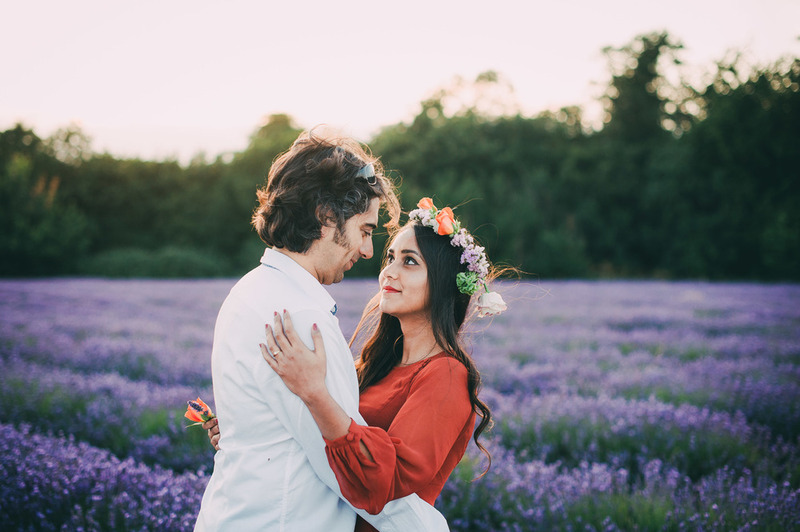 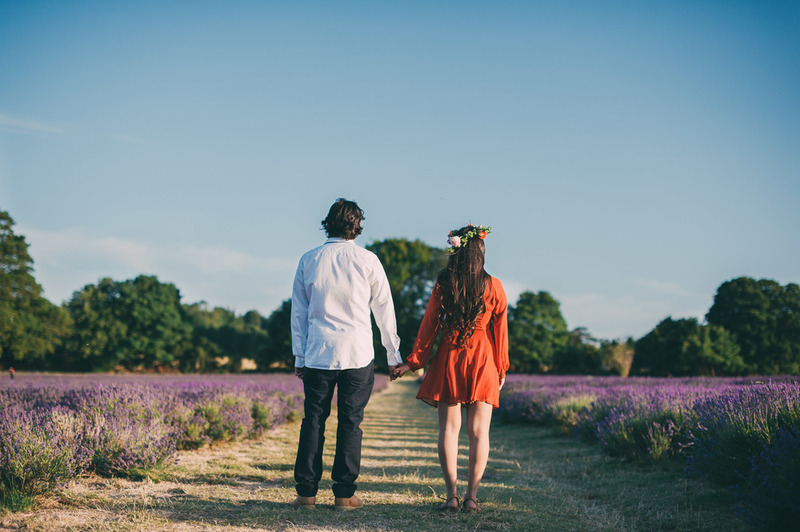 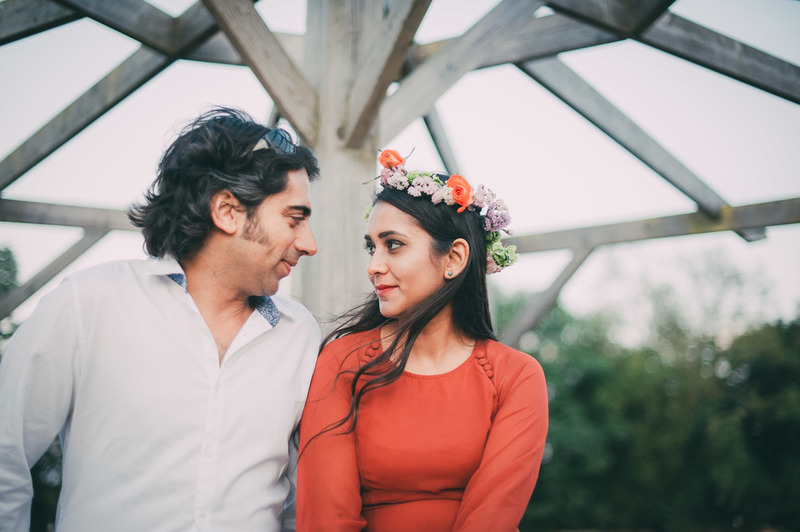 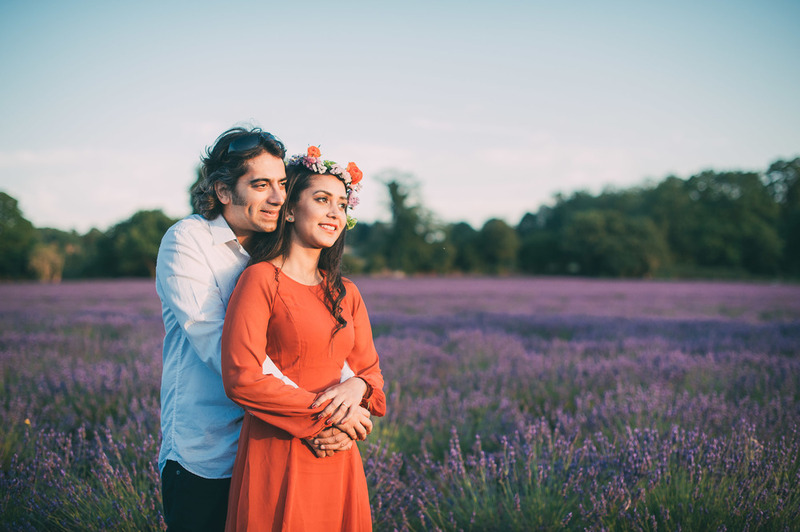 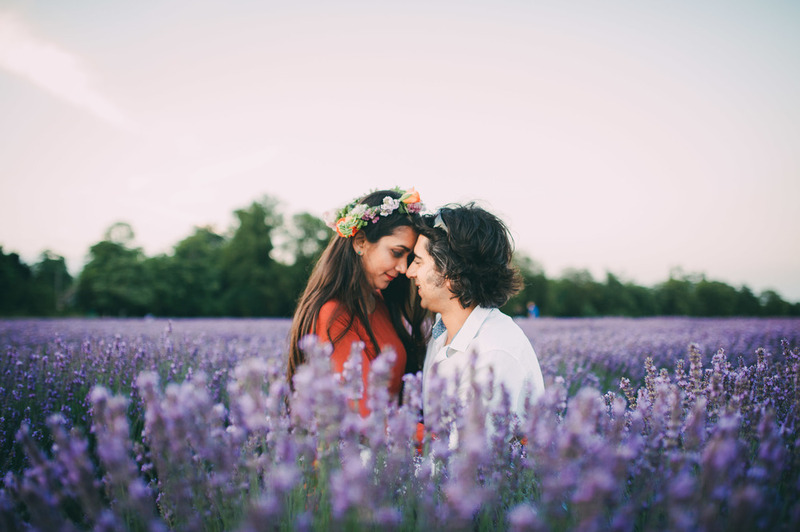 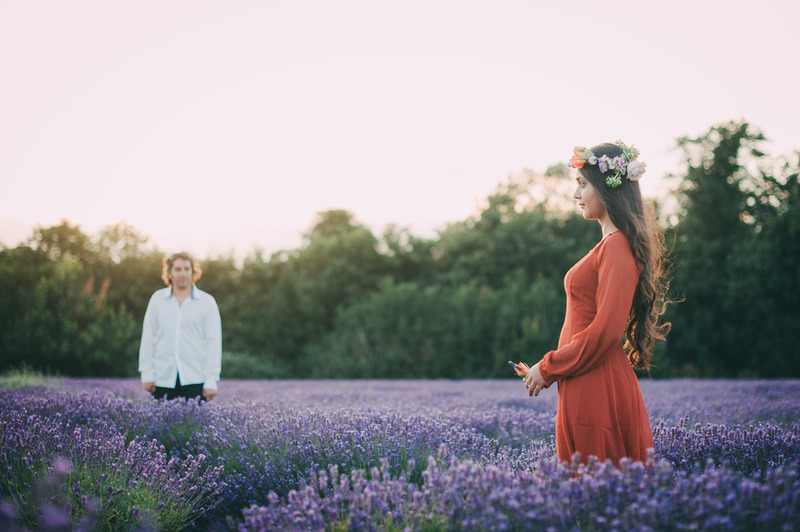 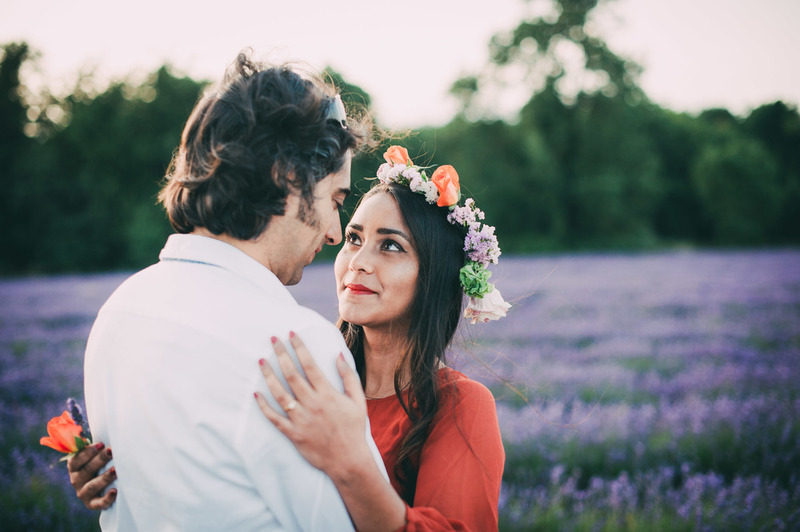 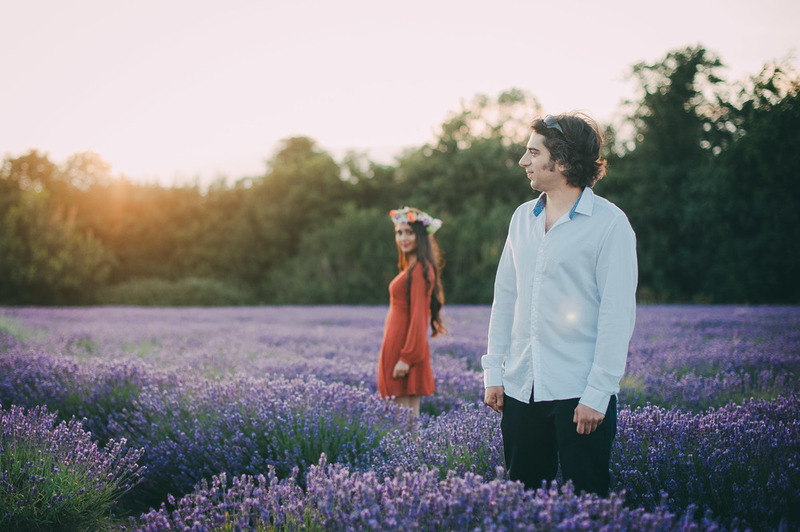 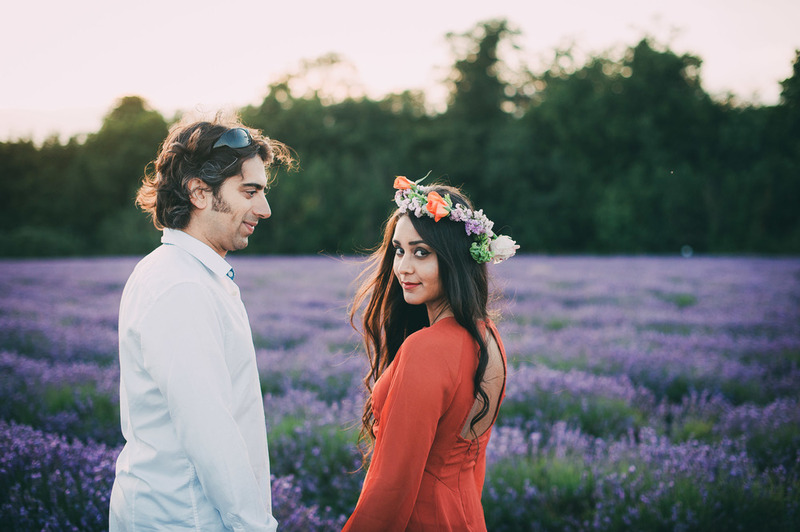 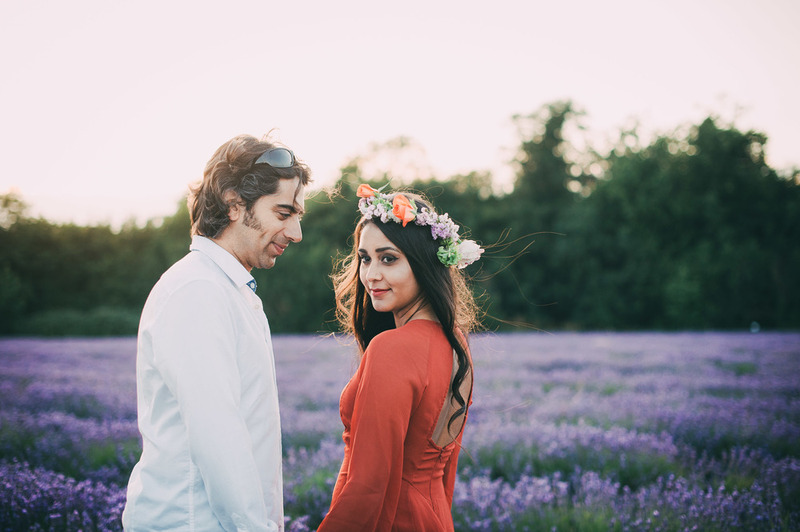 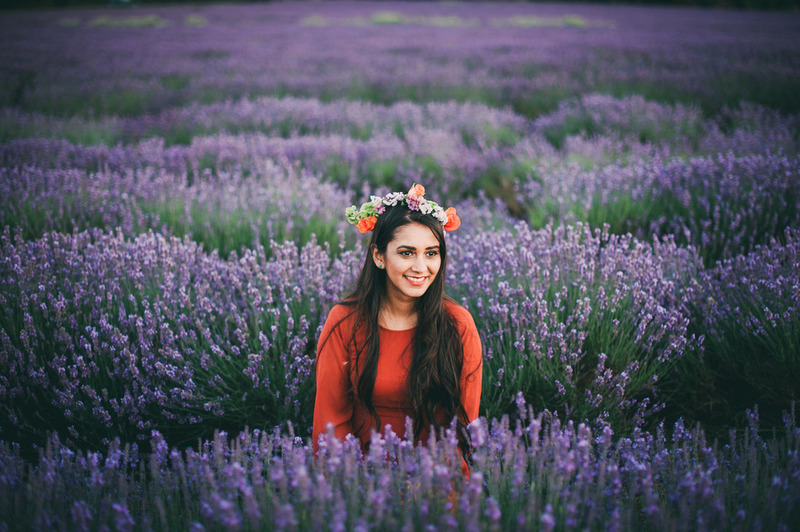 I was excited enough to be shooting at the absolutely beautiful Mayfield Lavender Farm on the outskirts of London, but when Devina met me at Finsbury Park station with a homemade flower crown, I knew I had lucked out! 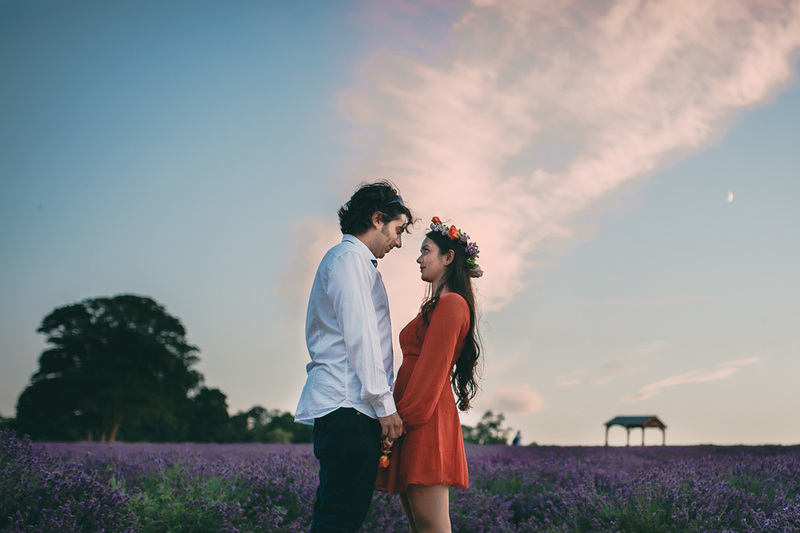 We had chosen to go in the evening just before sunset, and so all fingers and toes were crossed for good weather, by no means a guarantee in England, even in the middle of July! 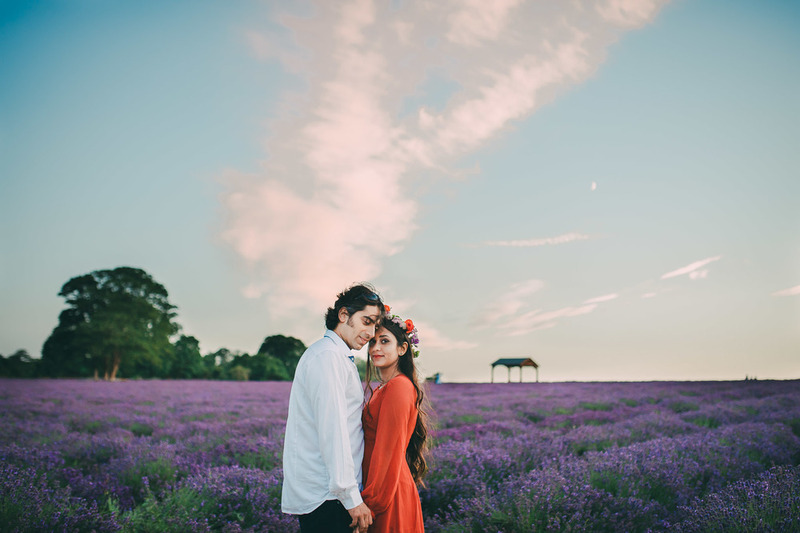 We needn't have worried though, as we were treated to the most stunning sunset. 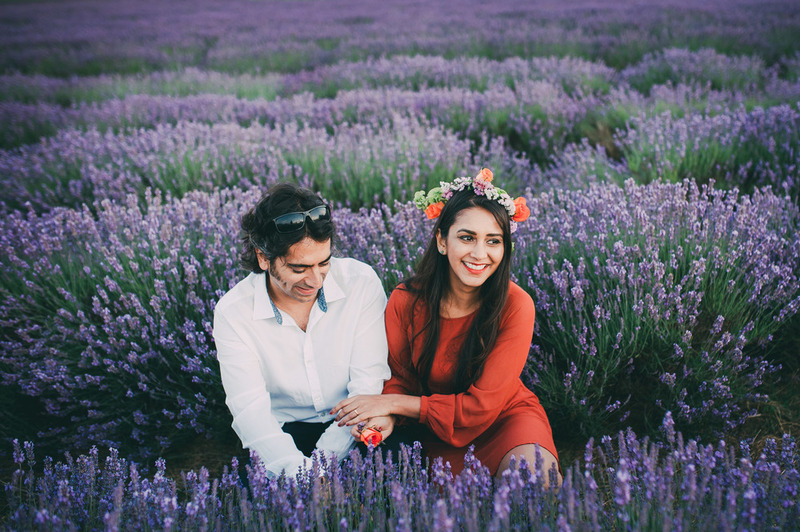 I highly recommend paying a visit to this gorgeous farm, especially in July when the lavender is in full bloom!